If you look at the link icons you can see what I am hypothesizing as the optimum cardinality for each. 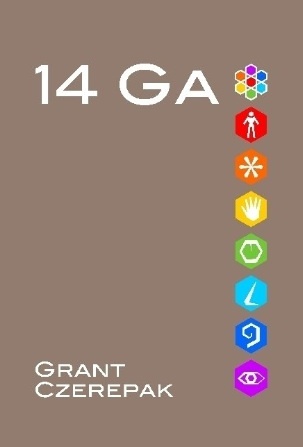 I am thinking about this from the perspective of the Platonic solids, R. Buckminster Fuller’s work, Stuart Koffman’s work with chaos theory and Boolean networks and Albert Einstein’s own love for geometry. 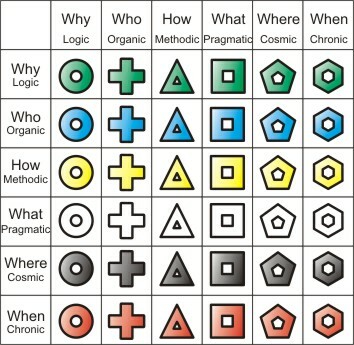 With this diagram I am eating a considerable amount of my previous work with the icons as well as a few concepts. The reason for this is I am discovering the logic behind interrogatives that are not commonly used that are essential in the logic of system design. The first row is the interrogatives (questions). “Whuch” is how much. The second row are my rearranged icons. The third row are my Greek terms for the solutions. A new insight that has come to me in working with the Systema Framework is the realization that datatypes are not chaotic or random. Datatypes are specific to the column they are in. The interesting thing is the framework is two dimensional. This means that each of the six interrogatives is provided with each of the six datatypes in a structured fashion. When you give this thought in this disciplined fashion, it becomes obvious that the Zachman Framework and the Systema Framework are inadequate to explain the complexity of datatypes we experience. I will provide a solution in my next post. After pulling out a Latin and Greek dictionary during a phone call to my professional writer sister, I came to realize that John Zachman served us a horrible brutalization of Greek for terminology. Had he only looked at the Greek language with some insight he would have saved me considerable difficulty in correlating definition with application. Johnny ‘s been messin’ wid our ‘eads, man. Correcting that usage will be on my to do list. There you have it, a completely new take on the Mix Thirty-six. Hey, Aristotle, Six Unities! Hey, Plato, Six Polygons! Hey, de Bono, Six Hats! Yes, after a day’s head banging, I switched when and where. 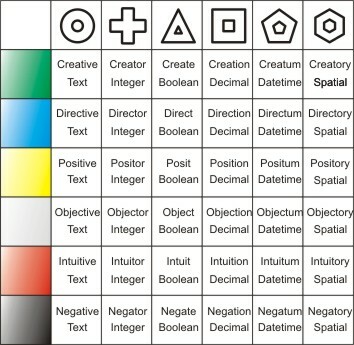 In the next post, I will be definining each of these icons. Now we can talk about System Logics, System Organics, System Mechanics, System Physics, System Cosmics and System Chronics with a sense that our terminology will migrate across disciplines easily if our audience has any understanding of Greek roots.